We regard the distribution network as a long-term investment. External and internal pressures on the distribution network can eventually lead to increased risk of leakage. It’s important that these leaks and other defects be detected quickly and corrected before extensive damage occurs and before requiring emergency corrective actions which would increase costs. We have the knowledge and tools to detect, locate and repair leaks and other defects. An effective way to make sure that future problems are averted is preventive monitoring of the existing distribution network. 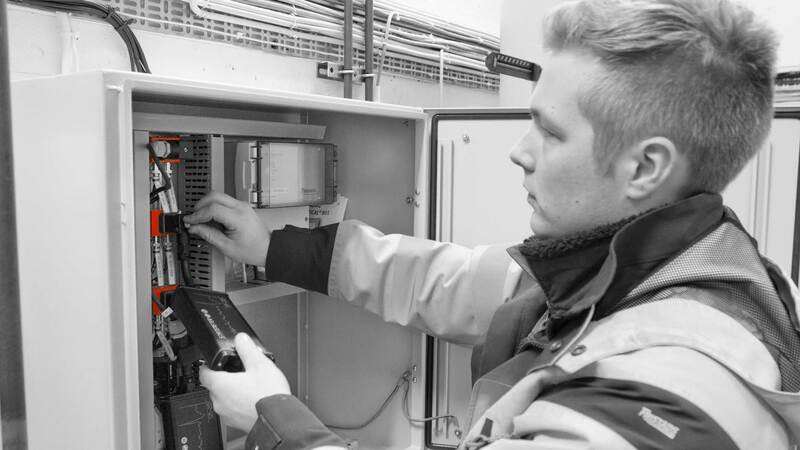 Our veteran measurement technicians have the experience and equipment to quickly and easily provide you with the status of the network and to analyse particularly vulnerable sections. Mittel offers a comprehensive concept, from construction to monitoring, maintenance and repair. With the help of advanced time-domain reflectometer (TDR) technology, detailed measurements of the pipeline network’s condition can be made. This solution makes it possible to easily manage, analyse and share measurement data with teams that you define. Visit our subsidiary, Stateview.se, for more technical information, or contact us and we will tell you more about it. With a specially developed alarm system, you receive alerts of any defects and leakage at an early stage. That is a prerequisite for well-planned and cost-effective maintenance. Through a Web-based portal, you get a full overview of your network’s current status and changes over time. In case of an emergency alarm, you are notified by text message or email.